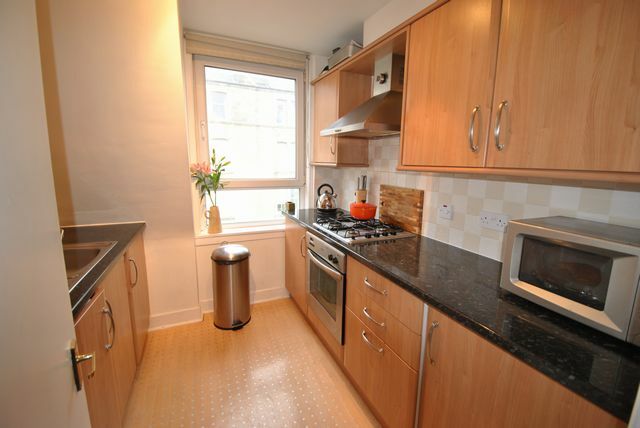 Very well presented one bedroom property in the heart of Stockbridge. The property is located on the top floor, accessed through a communal well kept stairway with door entry. The property consists of a well presented living room, with neutral floorings and decor and furnished to a good standard with living and dining areas; there is also a very nice focal fire place. The kitchen is contemporary with all white goods and appliances and a large area giving plenty of natural light and a lovely bright room for cooking. The bedroom further compliments the property with built in wardrobe and natural decor and floorings. There is a shower room off. The property has a separate WC. The flat has GCH, secure entry and street parking. Stockbridge has an eclectic mix of shops, bars and restaurants and is within an easy walk to Edinburgh city centre. Landlord looking for long term tenant. Landlord Reg 10088/230/22340. EPC Rating: D.